A finely-honed skill, and mastered only by few, until now. 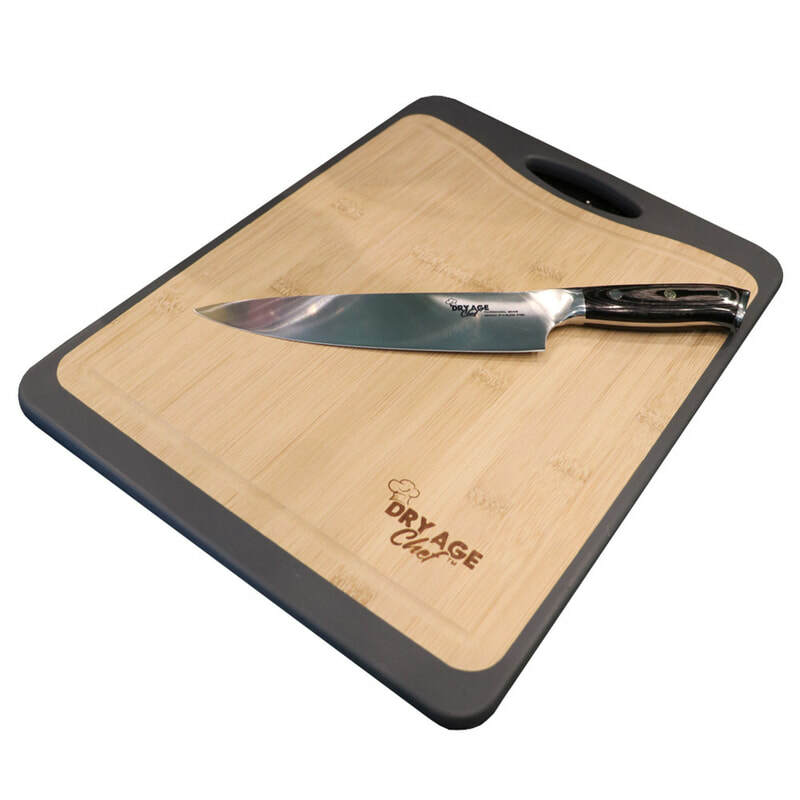 Dry Age Chef provides the connoisseur of steak the ability to dry age beef at home. 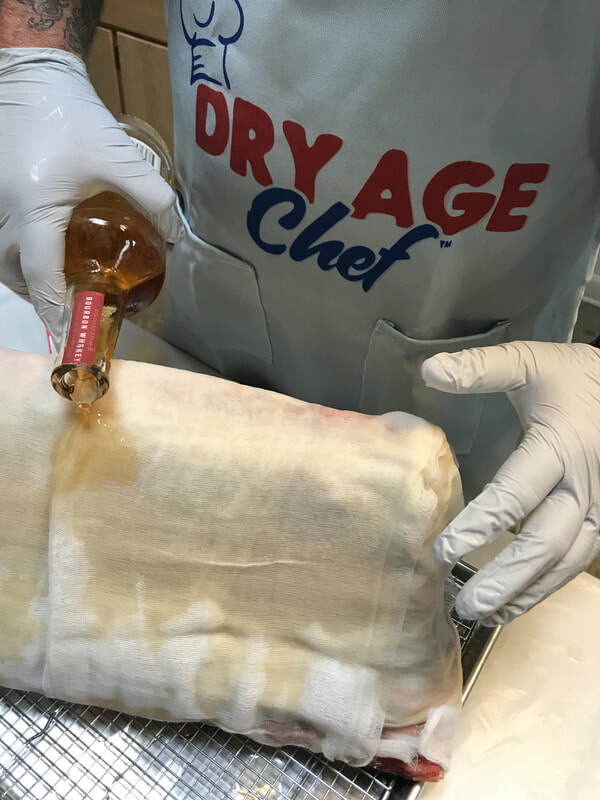 A combination of preparation and a lot of chemistry goes on during the dry aging process, including important enzyme-on-protein action. As the meat ages, enzymes that were contained in the muscles' cells work free and become a kind of creative wrecking crew. They break down proteins into amino acids, so the flavor deepens. They turn the small amounts of carbohydrates in the meat into sugars, so the taste seems sweeter. And they weaken connective tissue around protein strands, so the meat becomes more tender. 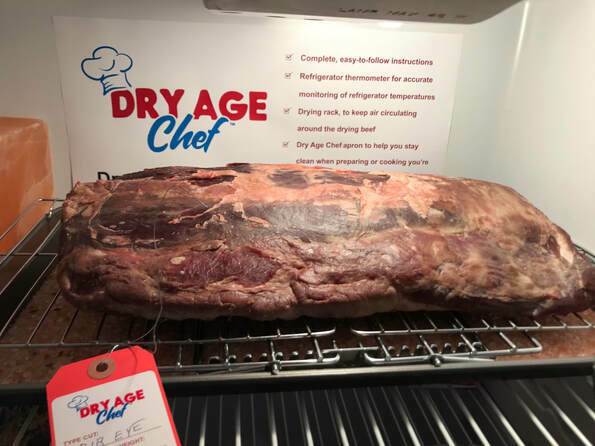 There's a craft to aging beef, it's a skill and a style that you can explore and learn with the Dry Age Chef. After aging and enjoying steaks that are aged, you will never be able to return to counter steaks again. The world-over, the best beef is dry aged, and folks will marvel at your abilities. 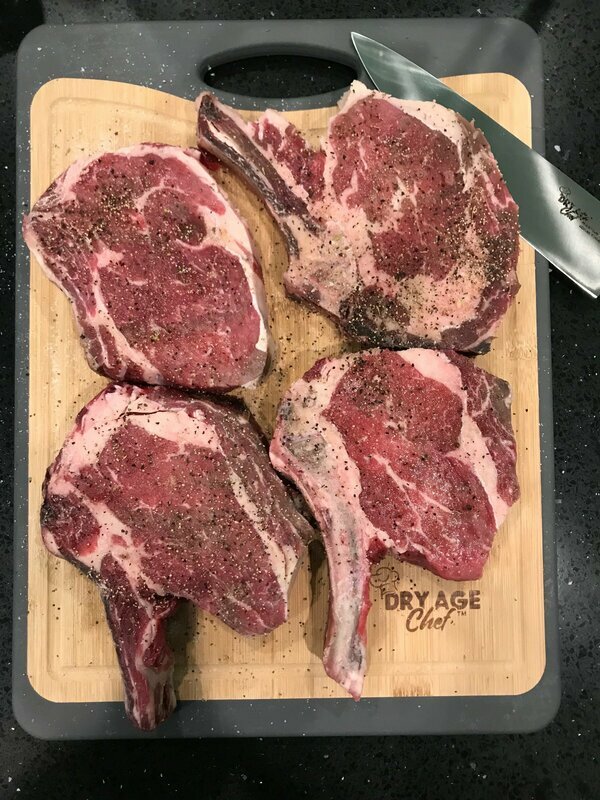 We offer complete, curated, do-it-yourself packages to dry age steaks at home with no nitrates, chemicals, or preservatives. 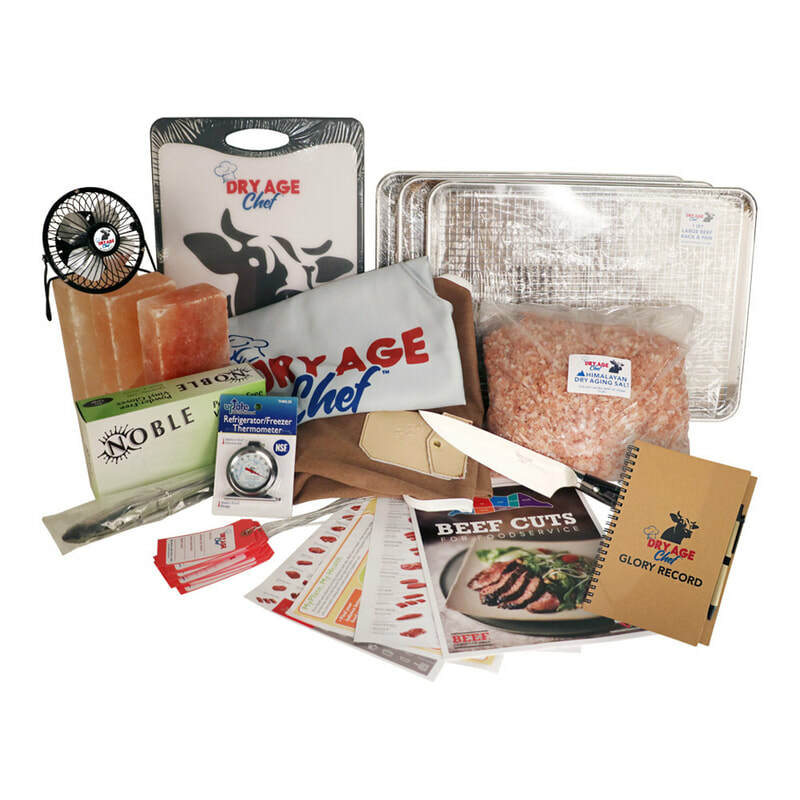 In addition, we offer individual items for you to add as your experience grows. Three levels of beef dry aging packages available for the beginner, expert, and jefe. 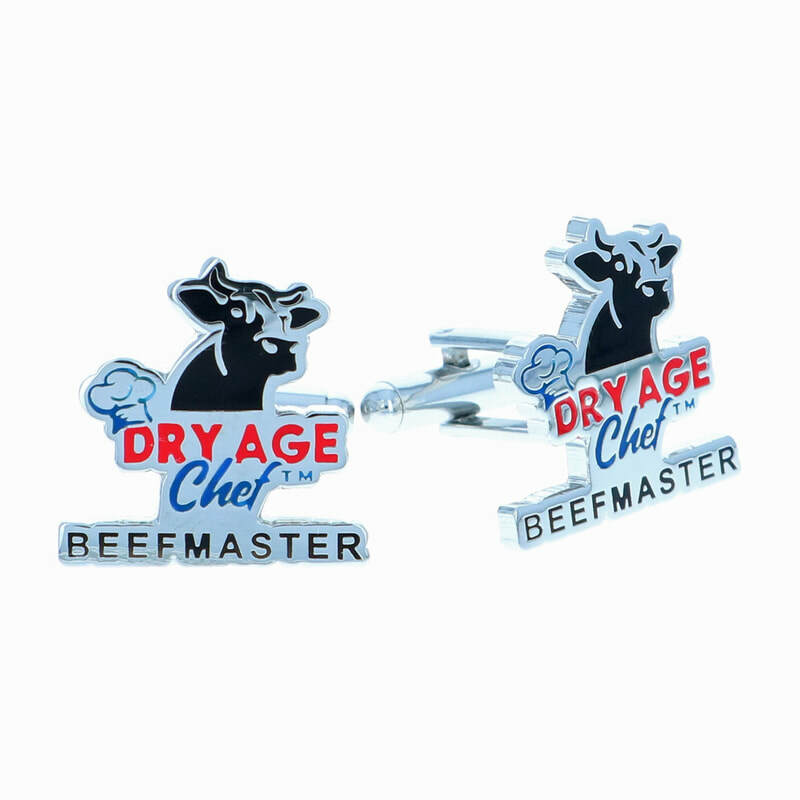 Designed to be all inclusive of the skill level you choose and empower you to successfully dry age beef at home. Dry aging is a fun and easy process that anyone can do. Just like a fine wine, beef must be aged to get the best flavor and dry aging is the only way to get true gourmet steaks. A good, dedicated refrigerator which maintains a temperature of 34°-37° F and that can be dedicated to meat drying is ideal. Steel grates for shelving are best as glass shelves block air. 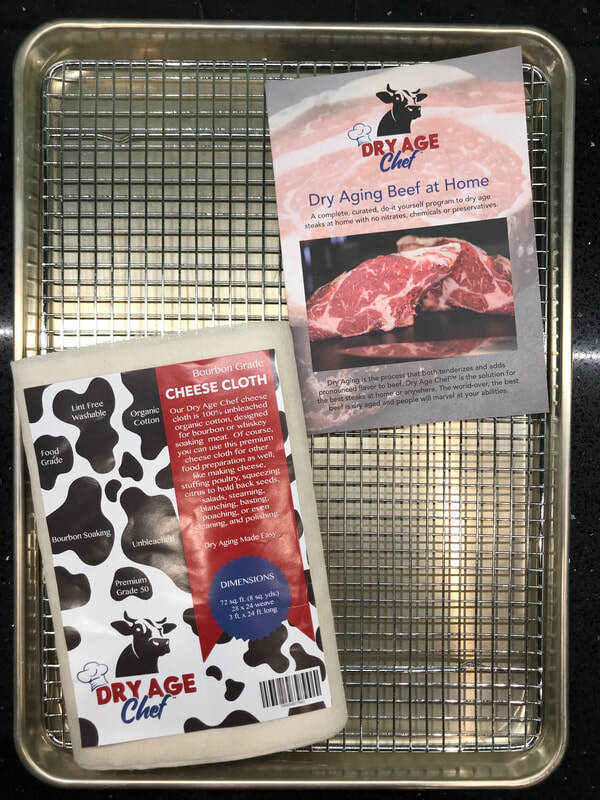 If you steaks, then eat what you produce, dry age at home. Know you have added no nitrates, chemicals or preservatives. 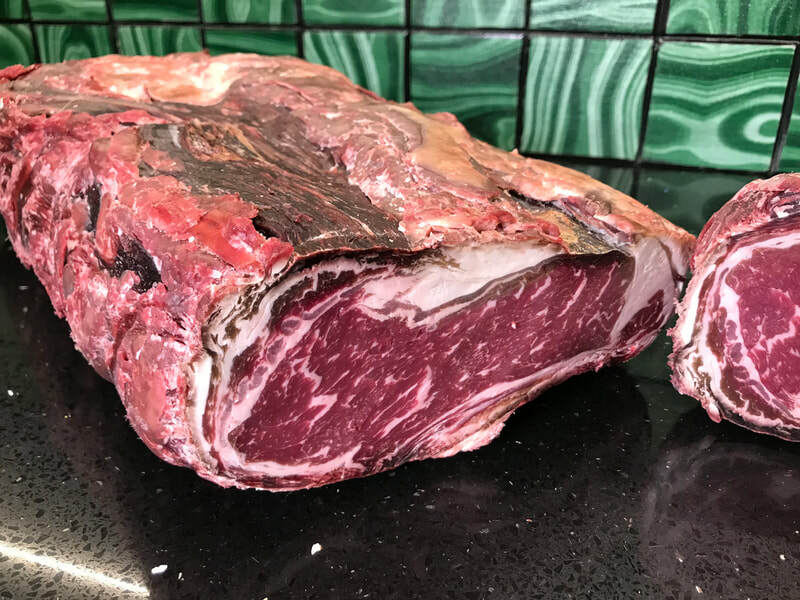 Studies have shown that eating dry aged beef is healthier because your body easily digests dry aged beef, while also readily processing the fats.